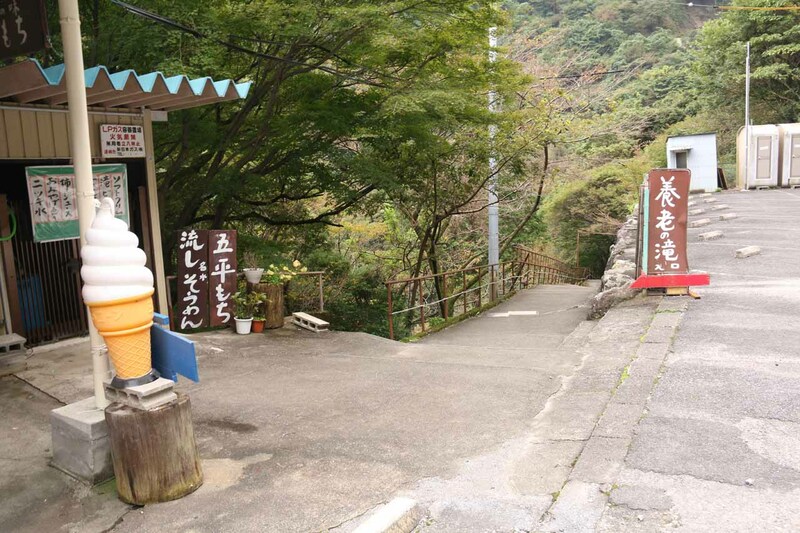 The Yoro Waterfall (Yoro-no-taki [養老の滝]; Yoro Falls or Waterfall of Yoro) felt like a popular locals attraction as my parents and I definitely noticed that even though it was very busy, practically none of the visitors except us were foreign tourists. 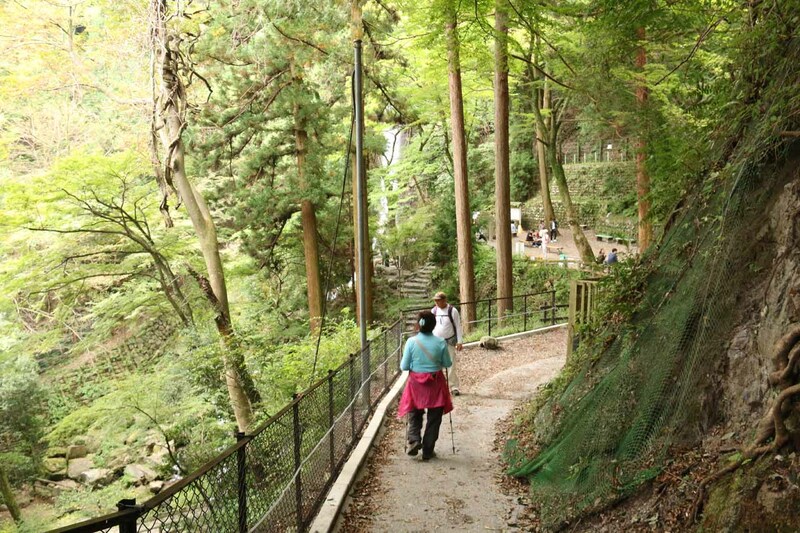 Indeed, we noticed lots of families (including children and elders) visiting the falls though they appeared to come mostly from a much longer but flatter trail along the Takidani Stream. 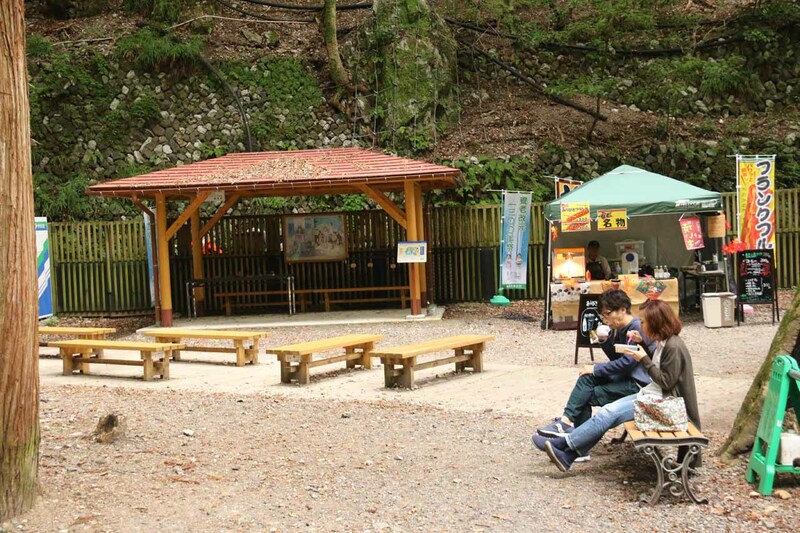 We would later find out that these folks came from the much busier Yoro Park, which probably harbored more activities, amenities, and even campgrounds compared to the car park and route that we took. In fact, we took the shortest path to the falls, but the drive to get up to that car park was very narrow and winding, and it was pretty pricey to boot (see directions below). 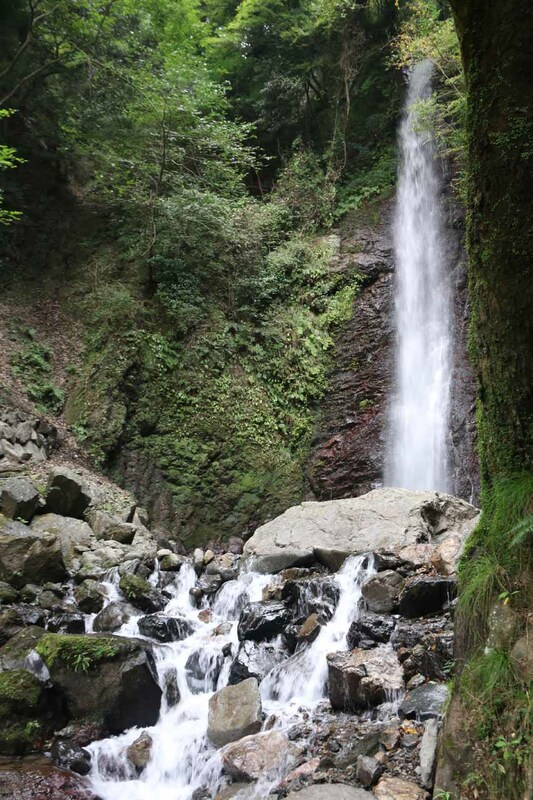 Nevertheless, this waterfall seemed to be quite the weekend hangout spot, and it seemed to be the perfect antidote for the heavily industrialized scenery further down the mountain towards the western outskirts of Nagoya. 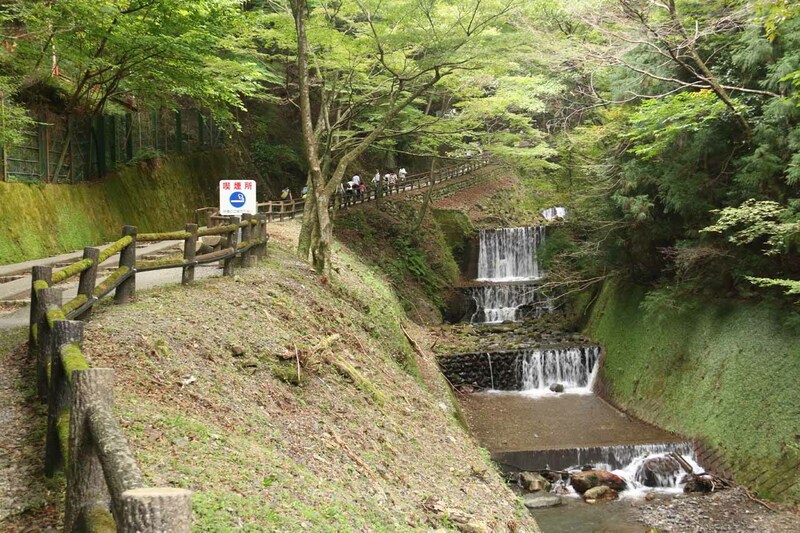 However, the popularity of this waterfall probably had more to do with the properties of the water itself. 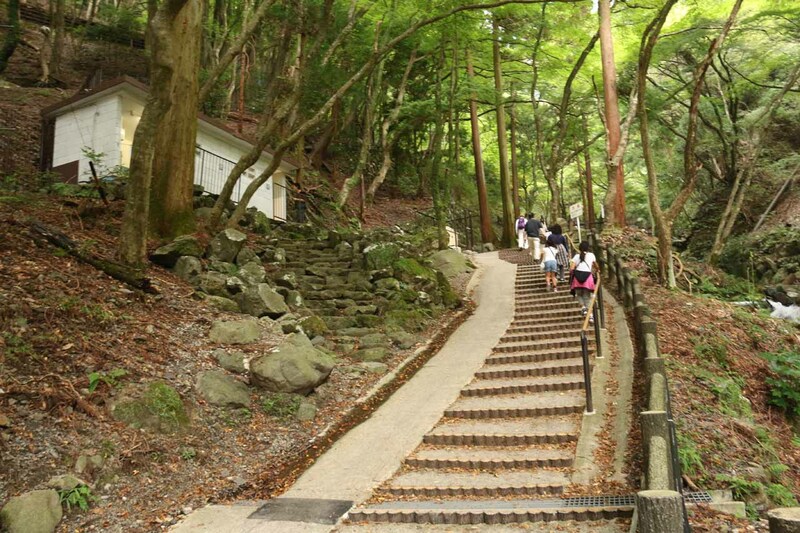 According to the signage along the trail, the Emperor Gensyo of the Nara Period claimed that the water here would cure any disease as well as reverse aging (a “Fountain of Youth” if you will). 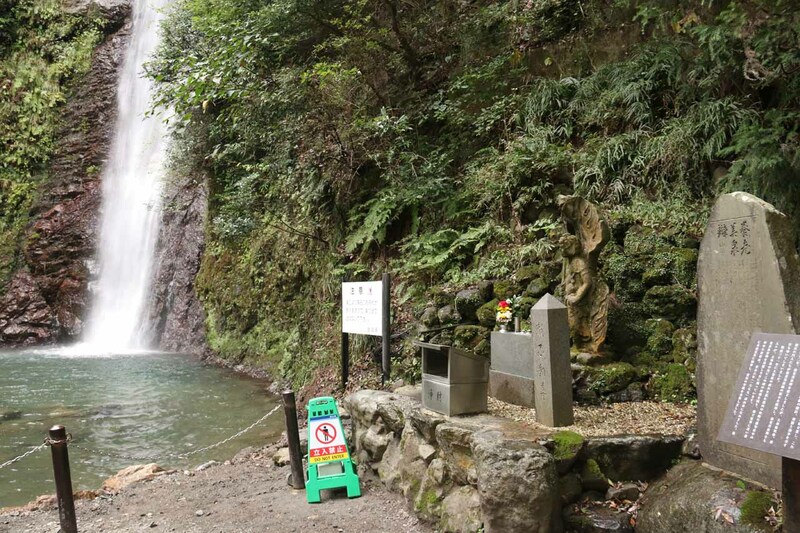 There was a Shinto Shrine built 500m further downstream of the falls in the year 717, and I believe we also saw that shrine during our short waterfall hike. 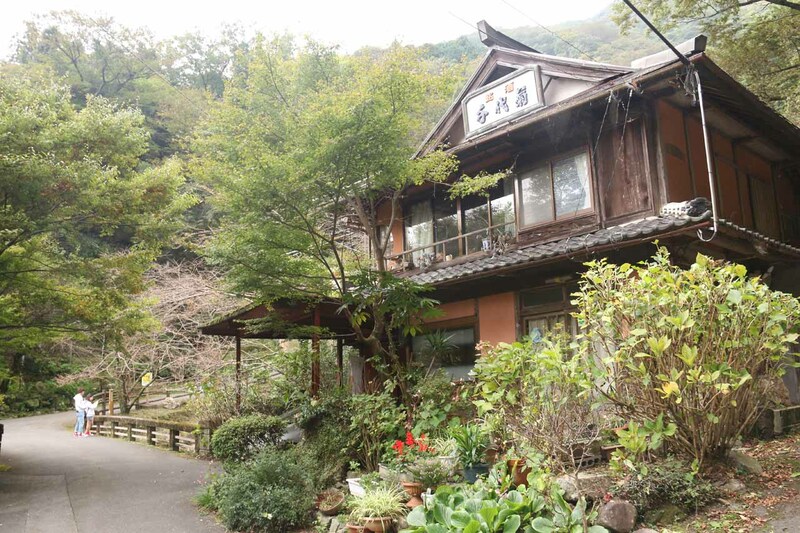 Moreover, the water was also said to be the key ingredient to the local Yoro Cider. We didn’t have the fortune of trying it out (as we weren’t aware of it at the time), but maybe we might have a go next time. 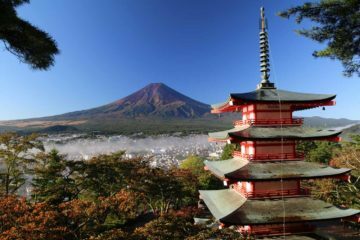 Even one legend claimed that the water from this falls could be made into sake. 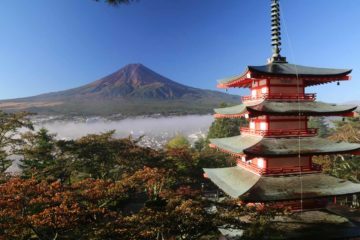 Anyways, the waters of the Takidani Stream were said to have been filtered through the mineral-laced undersurface of Mt Yoro, and I guess it was these minerals that might have given rise to the healing properties of the water here. Our hike from the nearest car park to here was only about 500m round trip. 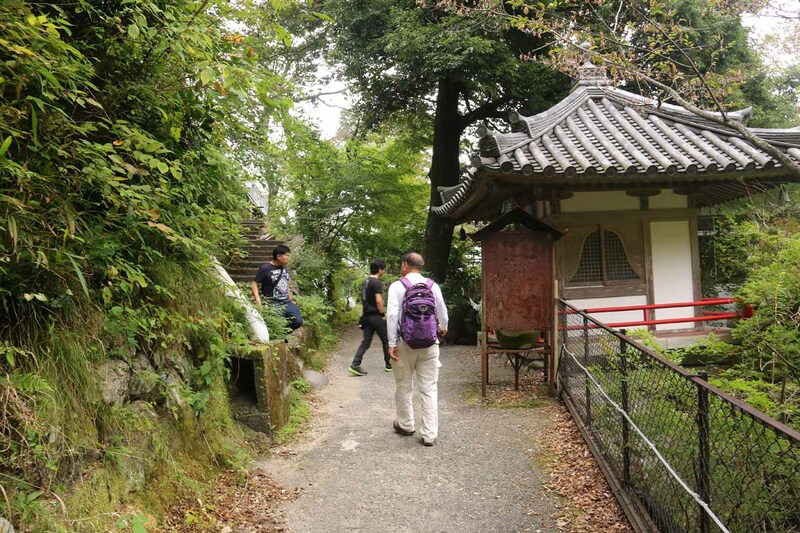 It was a short upside down hike descending a sloped path as well as some steps before reaching a trail junction near a shrine (the one I’m suspecting was the one mentioned in the interpretive sign). 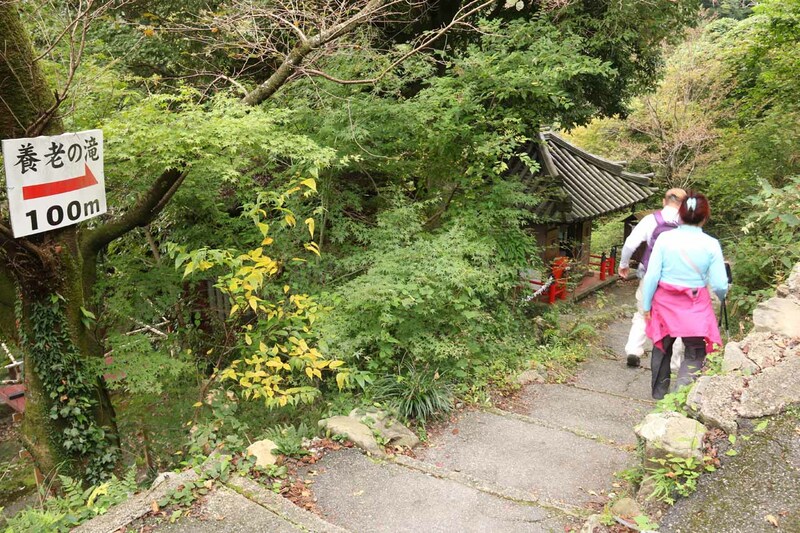 We then turned right and descended towards a flat area where there were benches and some yakitori stands. 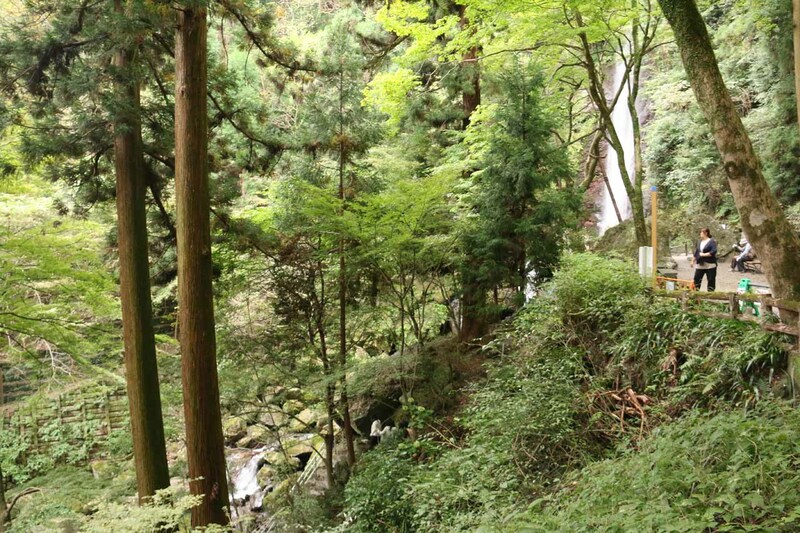 At the far end of the flat area were some big boulders as well as the plunge pool fronting the Yoro Waterfall. There was also a little informal memorial next to the pool as well as some benches for resting or just enjoying the scene. 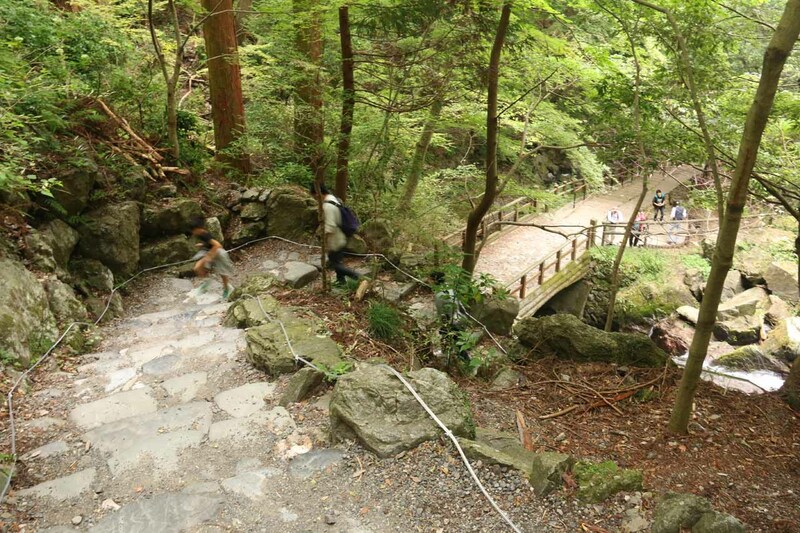 When we became aware that most of the foot traffic was coming from a different trail that led up to this falls, we actually spent some time descending the trail along the Takidani Stream. In addition to an alternate view of the waterfall with some intermediate cascades (see the photo at the top of this page), we also walked by some buildings as well as a smoking area (which we thought was quite unusual for a forested area like this). 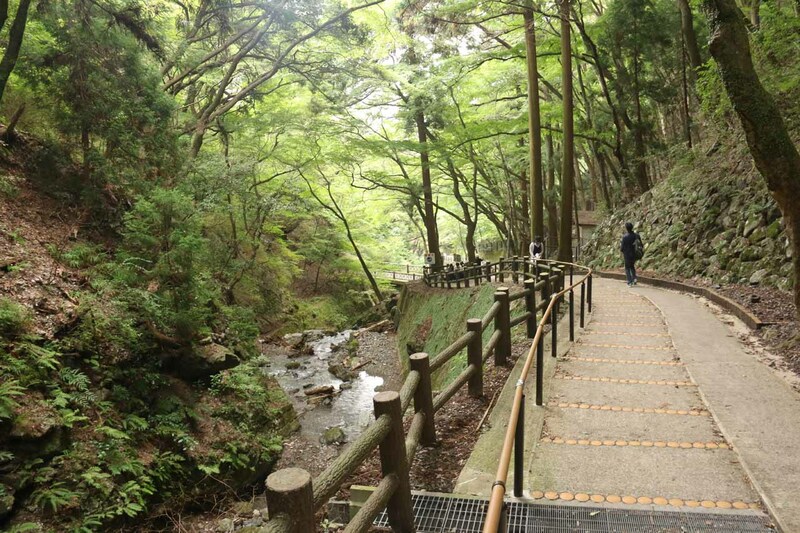 We didn’t make it all the way to the end of this other trail because it turned out that Yoro Park was where the trail went, and it was ultimately over 2km away in each direction (or 4km round trip). Had we started the hike from there instead of the nearest car park, then I probably would have changed the difficulty rating to 2.5 or 3 instead of 1.5. 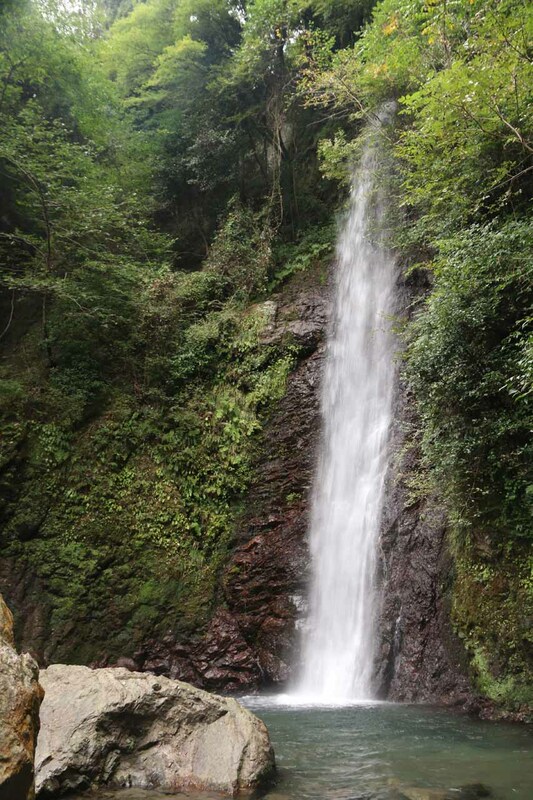 Since we made our visit to this waterfall from Inuyama, we’ll first describe the recommended driving directions from there. 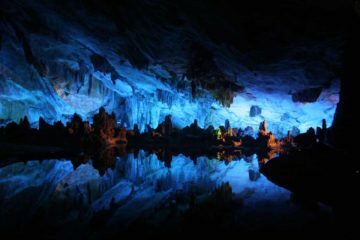 We’ll spare you our misadventures as we wound up taking all sorts of detours from missing the key exits that we’ll get to in this section. 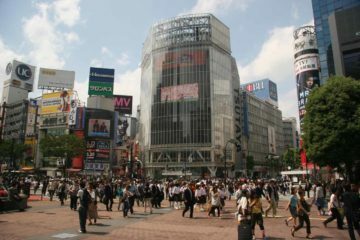 The directions from Nagoya would also apply here. Finally, we’ll describe the directions from the other direction as if we were driving east from say Osaka or Kyoto. 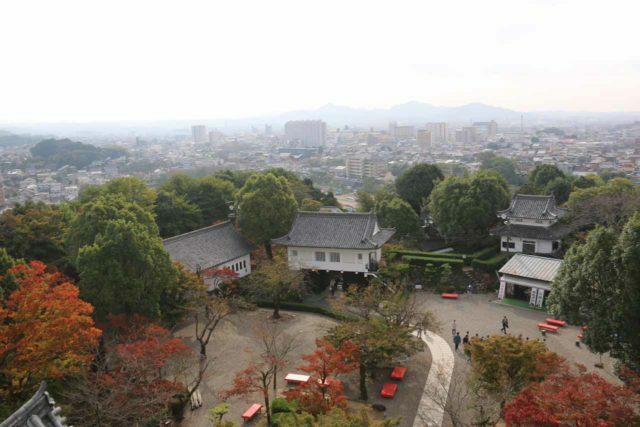 From Inuyama (more specifically Inuyama Castle), I’d recommend taking the Highway 21 west towards the Tokai-Hokuriku Expressway. Then, take the Tokai-Hokuriku Expressway south towards the Meishin Expressway heading west. We actually took the Route 41 south from Inuyama Castle to the Inuyama Expressway, and it was so slow and full of traffic that I wouldn’t recommend going this way. By the way, if you’re driving from Nagoya, I’d take a highway or expressway north of the city towards the Meishin Expressway. 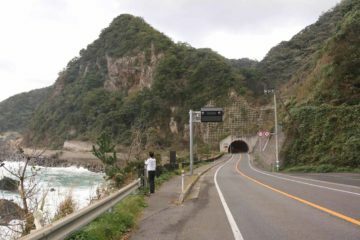 Anyways, heading west from the Ichinomiya Junction (of both the Tokai-Hokuriku Expressway and Meishin Expressway), we would then drive west on the Meishin Expressway for about 15km to the Ogaki IC exit. Then, we’d take the Route 258 south for a little over 4km before turning right onto the Route 213. 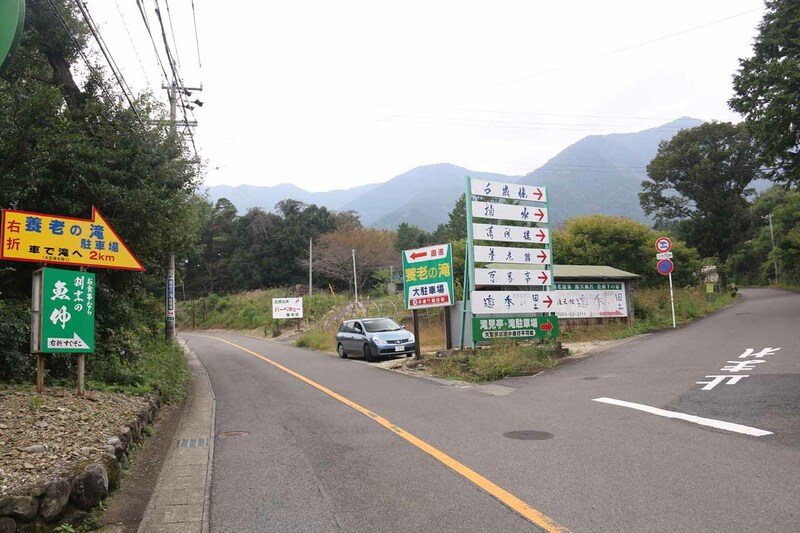 Then after another 5km going west on Route 213, we’d turn left onto Route 56 and go south for about 1km before turning right towards Yoro Park (by now there was clear signage telling us to turn off from the Route 56 here). Taking this local road for another 500m or so, we then reached a junction. 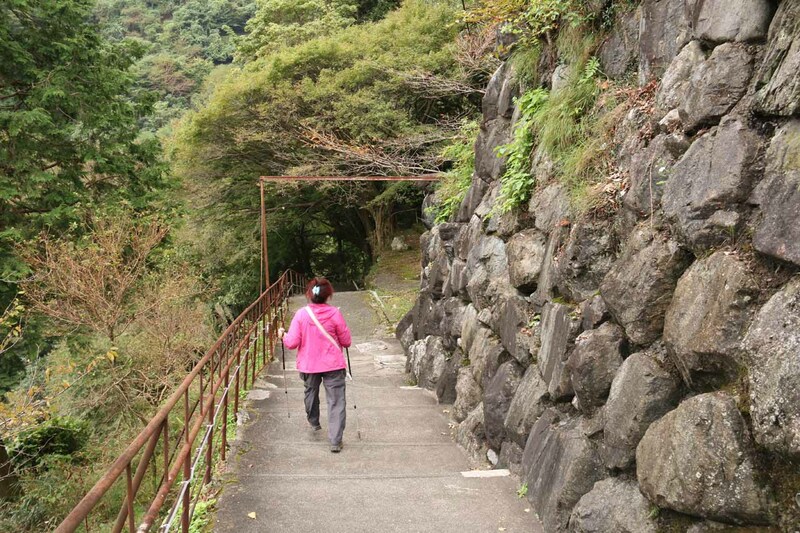 Signs suggest going right to get up to the Yoro Falls, and this was what we ultimately did. However, tricky (dare I say deceptive?) signage leading to the Yoro Park, which was behind the signs telling us to turn right at this fork, would have had us go left for another 400m to the entrance to the Yoro Park. 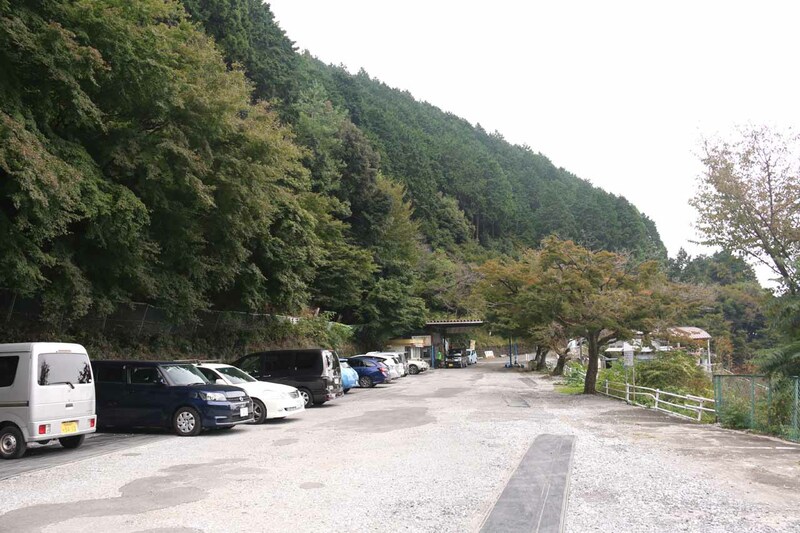 The parking fee here I recalled was 500 yen, and it seemed like this was the tamer and more popular route to get to the falls. That said, we took the other way from that fork, which led down a narrowing road for the next 900m before the road really started to climb steeply while also narrowing to single lane. The remainder of this fairly hairy drive was another 2km or so away. 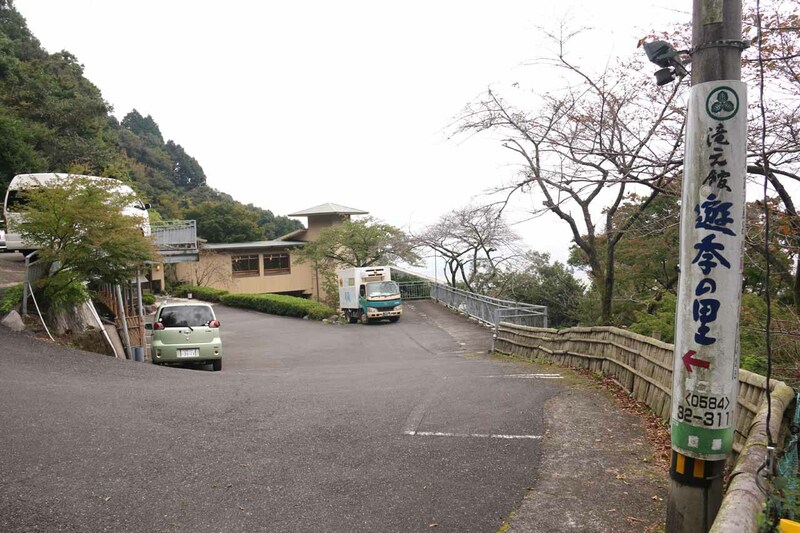 Eventually, we’d reach the Yoro Falls Car Park near the top of this hill, where we had to pay a whopping 1000 yen to park here! 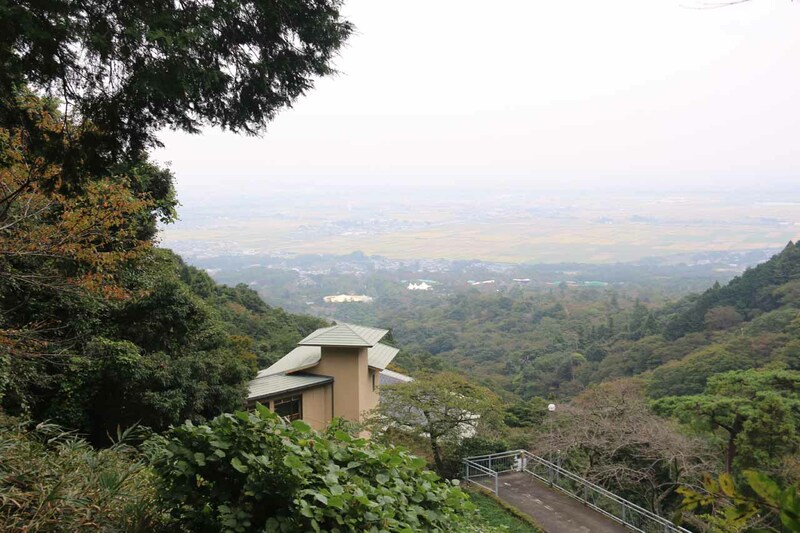 Oh well, at least the view towards the industrialized plains in the direction of Nagoya were nice. All told, this drive (if done right) would have taken us about an hour or more. Coming from say Kyoto South IC (south of the city center of Kyoto), we would have drive on the Meishin Expressway for about 98km to the Sekigahara IC exit. Then, we’d follow the Route 56 all the way to the signed turnoff for the Yoro Park. 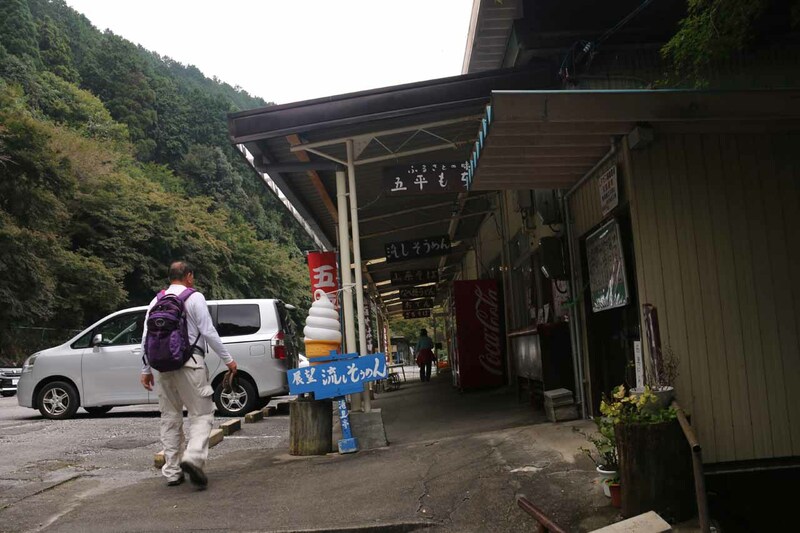 Once on the local road, then we’d eventually reach that fork where we could decide whether to pay 500 yen and park at the Yoro Park while making the hike 4km round trip, or park all the way near the falls and pay 1000 yen but reduce the hiking to a mere 500m or so. 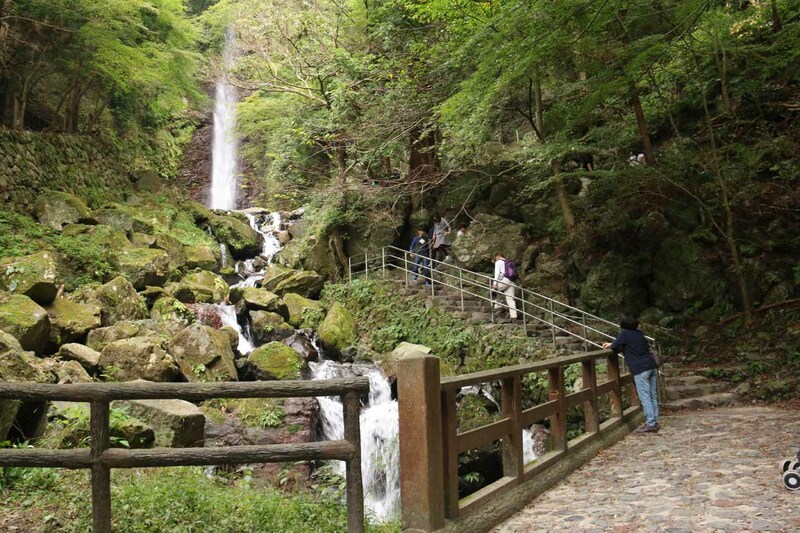 Lastly, given the relative close proximity of this waterfall to the city of Nagoya, I do want to make you aware that it’s possible to visit this falls using public transportation (which can be an attractive option given how much traffic there was in and around one of Japan’s largest cities). We can’t go into too much detail about it since we didn’t make our visit in this manner, but we heavily considered it when we were planning out this part of our trip. 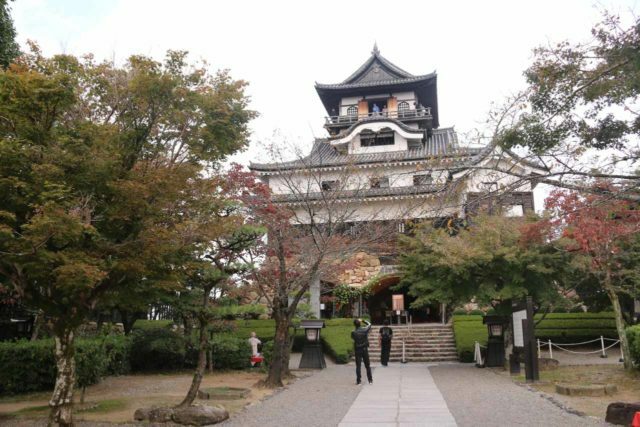 When we translated Inuyama’s kanji characters into Chinese, we gathered that Inuyama Castle was the Dog Castle. 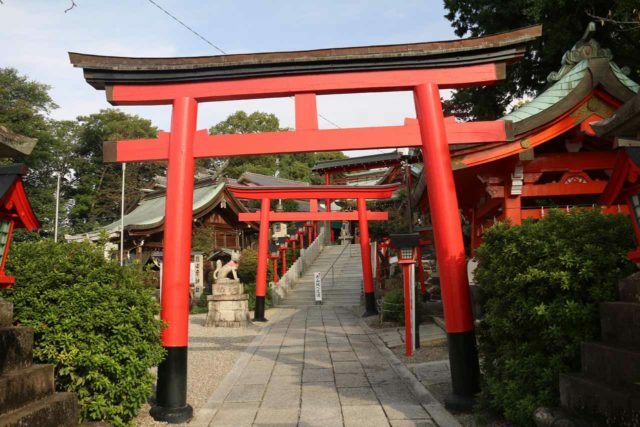 So does that mean the temple nearby was the Temple of the Dog?